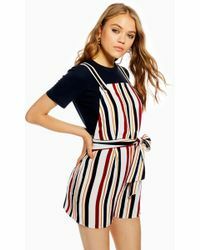 Fresh, directional style is what you will get when you shop with Topshop, a youthful brand that incorporates the latest trends and styles. 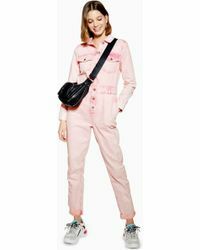 The brand dates all the way back to the 60s but has, over the years, grown into one of the biggest UK names in fashion. 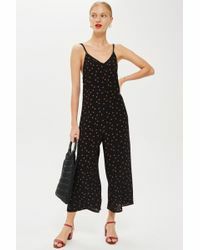 The jumpsuits line from the brand includes bandeau plunge jumpsuits and slouchy cami playsuits. 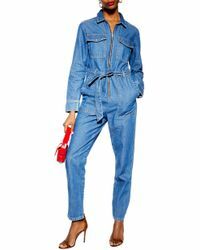 There are off the shoulder jumpsuits, floral playsuits that are perfect for summer days and relaxed velour jumpsuits, as well as jumpsuits for skiing. 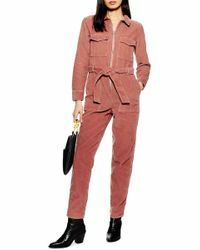 Print jersey jumpsuits, broderie panel playsuits and halterneck lace side jumpsuits are just a few of the options 'this versatile style can meet all your fashion needs, whether work or play.